Don’t get us wrong; regular gifts are great, but a living gift keeps on giving, long after you’ve removed the ribbon. If you want to make an impact and get your beau’s heart beating faster, give a living gift this Valentine’s Day. Whether you want it delivered to your love at home, or fuel the water cooler fodder at their office, we’ll make sure your plant pressie gets to the right place at the right time. Because green’s the colour of love, we’re actively looking for ways to reduce waste. Living gifts live in cardboard boxes, with the only plastic being in the lining (in case of water spillages). Plants are love in a pot, so get romantic on Feb 14th. A bunch of flowers is a classic gift, but they’re all too fleeting. The fact is – plants are sustainable and will always outlast fresh cut flowers. On top of this, when you choose Natures Colours, you’re not supporting imported products; all our plants are nurtured and grown by our trusted local nurseries. Another plus when you opt to give a living gift is they help clean the air and brighten the day of everyone around them. Lastly, our potted presents are more affordable and keep on growing. This aptly-named plant makes for the perfect Valentine’s gift. A robust climber, it has beautiful deep green foliage, with incredible purple and white flowers that pop. The best part is, if your love nurtures them with the right care, they’ll be rewarded with fresh-off-the-vine passionfruit, with pulp as sweet as their smile. Far more thoughtful than a bunch of flowers, your beau can enjoy the fruits of their gift in their smoothie or to dress a dessert. This gift needs full sun, good drainage and protection from the frost. This spicy, edible plant is guaranteed to turn up the heat on Valentine’s Day. Send your lover this living gift, then cook them up a beautiful pasta using chilli’s plucked straight from the plant. The beauty of this clever plant is – the more you pick the fruit, the more the plant produces. Packed to the brim with essential vitamins and minerals, this gift needs to live where there’s loads of sun. For a bumper crop of colour and flavourful fruit, this easy-care plant is potted in a traditional terracotta pot. Even though this is one of the world’s most common orchid, it makes for a one-of-a-kind gift. These plants are like blooming royalty; producing the most stunningly beautiful flowers you can lay your eyes on. And the best part is, when they pop, these orchids can last for up to 2-6 months. These living gifts love indirect light and lots of it; easy to care for, they only need watering once a week to stay healthy and thriving. This lovely orchid comes in a beautiful copper pot. Also known as a Flamingo Flower, this house plant is made for Valentine’s Day with its red heart-like blooms. Like your love, this plant flowers all year round, with shiny, lush leaves to add a touch of beauty to any corner. Known as ‘nature’s air purifier,’ this clean-air-loving living gift is best put in an outdoor shaded area or kept indoors. It comes in a chic white ceramic pot. All of our living gifts come with care instructions and the option of a message card and gift box. Get creative and give your Valentine something as lovely as them. 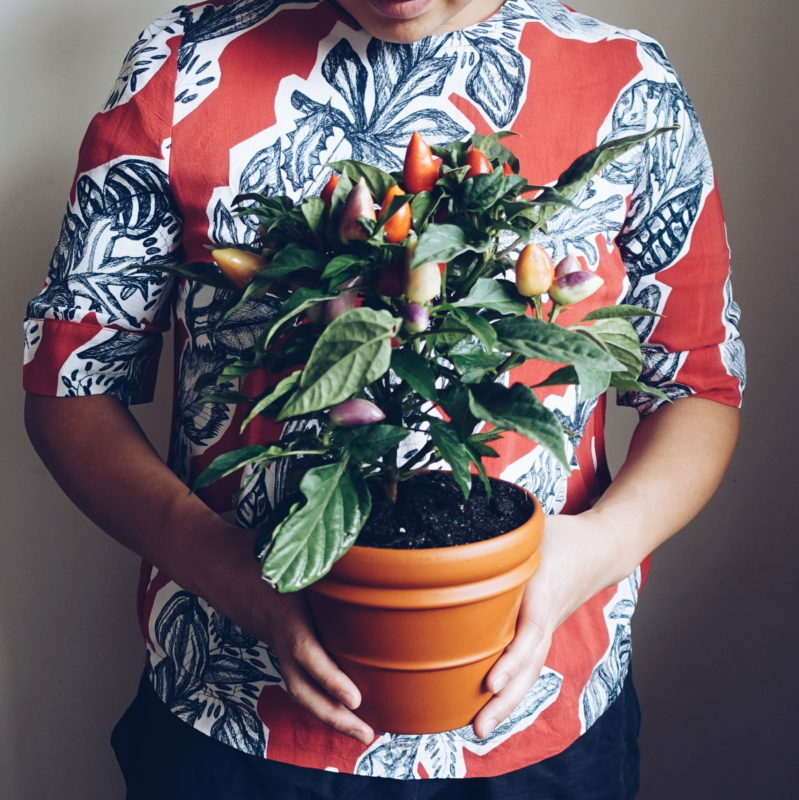 This entry was posted in Living with Plants and tagged anthurium, chilli, gift ideas, gift plants sydney, indoor plants, indoor plants sydney, living gift plants, orchid, passionfruit, special occasion, terracotta pot, valentine's day.